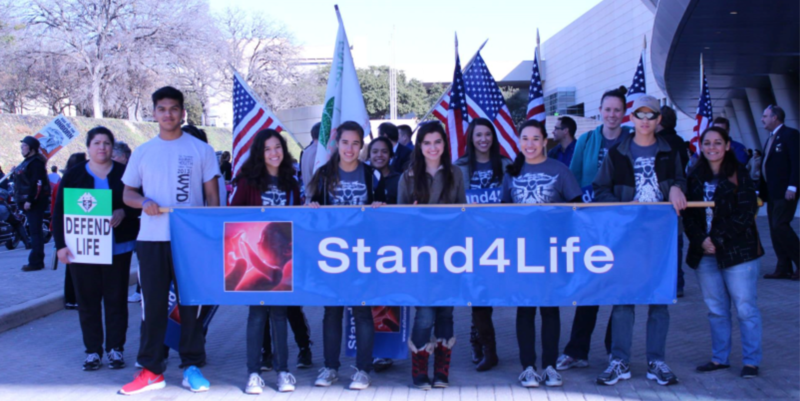 Thanks to All Who Took A Stand4Life! This year’s events ushered in many new and successful changes, including moving the Roe Memorial Mass to the convention center in downtown Dallas where 6500 people were able to experience the Mass celebrated by Bishop Kevin Farrell, Bishop-elect Michael Olson and Auxiliary Bishop Doug Deshotel, along with diocesan priests, deacons and seminarians. Father Alfonse Nazzaro gave the homily, reminding us of what sets apart the people of life — compassion. It was a sight to see! Before Mass, 300 people prayed the Roe Memorial Rosary outside the Southwestern late-term abortion center where a mother chose life! Praise God! And youth enjoyed a first-ever Youth Rally and Concert at the convention center led by World Youth Day Musician Steve Angrisano. At the close of Mass, and a parallel praise and worship service for our Protestant brothers and sisters, 10,000 people took to the streets in the Dallas March for Life, led by the roar of Bikers for Life in their inaugural ride. The March concluded at a rally outside the Earle Cabell federal courthouse were Roe v. Wade was first filed in 1970. Bishop Farrell opened the rally, followed by Maggie Lopez of The Rachel Ministries sharing her journey from abortion to healing; Laura Anderson of BraveLove accompanied by Janice Podell of Gladney Center for Adoption who shared her story as a birth mother; Dr. Jimmy Draper, former president of the Southern Baptist Convention; and April Keese, founder of African Americans for Life. Visit prolifedallas.org/roe to view pictures. 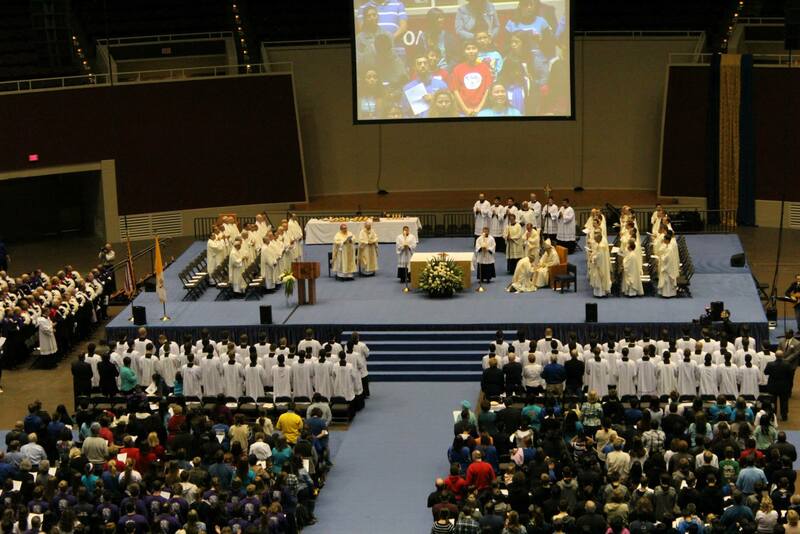 And save the date for the 2014 Roe Memorial on January 17 with the Roe Memorial Mass again at the convention center in Dallas.